The Oilholic was asked at a recent industry event whether he thought or had heard any anecdotal evidence about Brent being 'crooked' and susceptible to what we saw with financial benchmarks like Libor. Perhaps much to the annoyance of conspiracy theorists, the answer is no! A probe by the European Commission (EC), which included raids on the London offices of several oil companies and Platts last year, and an ongoing CFTC investigation into trading houses stateside, seems to have triggered the recent wave of questions. Doubts in the minds of regulators and the public are understandable and very valid, but that an offence on an industry-wide scale can be proved beyond reasonable doubt is another matter. The UK's Office of Fair Trading has already investigated and cleared all parties raided by the EC. Furthermore, it stood by its findings as news of the EC raids surfaced. As far as price assessment mechanisms go, only Platts' Market on Close (MoC) has faced allegations. It is cooperating with the EC and nothing has emerged so far. Competing methods, for instance ones used by Argus Media, another price reporting agency (PRA), were neither part of the investigation nor have been since. Let's set all of this aside and start with the basics. A monthly cash-settled future is calculated on the difference between the daily assessment price for Dated Brent (the price assigned on a date when North Sea crude will be loaded onto a tanker) and the ICE daily settlement price for Brent 1st Line Future. Unless loaded as cargo, a North Sea oil barrel – or any barrel for that matter – retains the wider trading metaphor of a paper barrel. Now as far as the Dated Brent component goes, agreed the PRAs are relying on market sources to give them information about bids, offers and supply-side deals. However, the diversity of sources should mitigate any attempt to manipulate prices by a group of individuals submitting false information. In the case of Libor, the BBA, a single body used to collate the information. In Brent's case, there is more than one PRA. None of these act as some sort of a centralised monopolistic data aggregation body. For what it's worth, anybody with even a minute knowledge of oil & gas markets would know the fierce competition between the two main PRAs. Don't get the Oilholic wrong – collusion is possible in theory whereby traders gang-up and provide the PRAs with false pre-agreed information to skewer the objectivity of the assessment. However, the supply-side dynamic can wobble on the back of a variety of factors ranging from rig maintenance to an accident, a geopolitical event to actions of other market participants. So how many or how few would be required to fix prices and which PRA would be targeted, when and by how much and so on, and so on! Then hypothetically let's assume all the price-fixers and factors align, given the size of the market – even if rigging did happen – it'd be localised and cannot be anything on the global scale of fixing that we have seen with the Libor revelations to date. Take it all in, and the allegations look silly at best because the 'collusion dynamic', should there be such a thing, cannot possibly be akin to what went on with Libor. The EC wants to regulate PRAs via a proposed mandatory code and there is nothing wrong with the idea on the face of it. However, one flaw is that in a global market, buyers and sellers are under no obligation to reveal the price to the PRAs. Many already don't in an ultracompetitive crude world where cents per barrel make a difference depending on the size of the cargo. If the EC compels traders to reveal information, trading would move elsewhere. Dubai for once would welcome them with open arms and other benchmarks would replace European ones. Anyway, enough said and the last bit is not farfetched! Finally, if fixing on the scale of the Libor scandal is discovered in oil markets and the Oilholic is proved wrong, this blogger would be the first to put his hand up! Coming on to the current Brent forward month futures price, the last 5-day assessment provided plenty of food for thought. Supply disruptions in Libya (down by 100,000 bpd) and Angola (force majeure by BP potentially impacting 180,000 bpd) kept the contract steady either side of US$109 per barrel level, despite tepid US economic data. That said, stateside the WTI remained stubbornly in three figures on the back of supply side issues at Cushing, Oklahoma. The Oilholic reckons that's the fifth successive week of gains. Meanwhile, the ICE's latest Commitment of Traders report for the week to February 11 notes that hedge funds and other money managers raised their net long position by 29.6% to 109,223; the highest level since the last week of 2013. The Brent price rose by around $4 a barrel over the stated period. By contrast, the previous week's net long position of 84,276 was the lowest since November 2012. Away from pricing issues to its impact, Fitch Ratings said in a recent report that production shortfalls and strategy changes to appease equity holders were a greater threat to the ratings of major Western European oil companies than a prolonged downturn in crude prices. The ratings agency's stress test of the sector indicated that a Brent price of $55 per barrel would put pressure on credit quality, but compensating movements in cost bases and capex would give most companies a fighting chance at preserving rating levels. Alex Griffiths, head of natural resources and commodities at Fitch, said, "With equity markets increasingly focussed on returns, bond yields near historical lows and oil prices forecast to soften, the chances of companies increasing leverage to benefit equity holders have risen. The European companies that have reported so far this year have generally resisted this pressure – but it may increase as the year goes on." Separately, the agency also noted that a fall of the rouble would benefit Russian miners more than oil exporters. For both sectors, the currency's limited decline will strengthen earnings and support their credit profile, but ratings upgrades are unlikely without indications that the currency has settled at a new lower level. To give the readers some context, the rouble has depreciated by 8% against the US dollar since the first trading day of the year and is down 17% from the end of 2012. 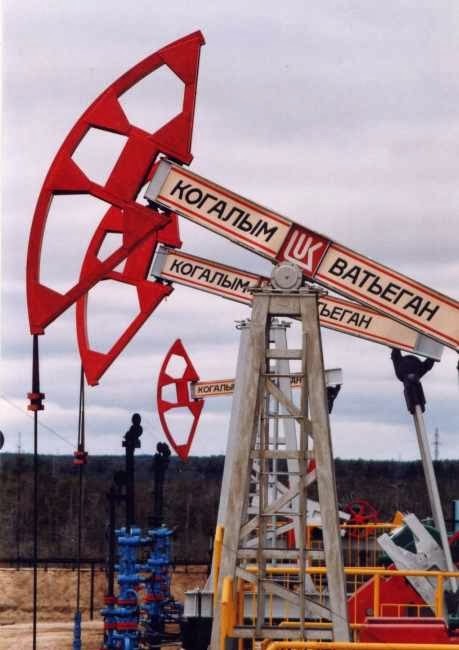 Depreciation of a local currency is generally good news for a country's exporters, but the effect on Russian oil exporters is less pronounced due to taxation and hence is less likely to result in positive rating actions in the future, Fitch said. From Russia to the US, where there are widespread reports of a flood of public comments arriving at door of the State Department with public consultation on Keystone XL underway in full swing. See here's what yours truly does not get – you can have your comments included in the wider narrative, but are not obliged to give your details even under a confidentiality clause. This begs the question – how do you differentiate the genuine input, both for and against the project, from a bunch of spammers on either side? Meanwhile, the Department of Energy has approved Sempra Energy's proposal to export LNG to the wider market including export destinations that do not have free trade agreement countries with the US. The company, which has already signed Mitsubishi and Mitsui of Japan and GDF Suez of France, could now spread its net further afield from its proposed export hub in Louisiana. Elsewhere, Total says its capex budget is $26 billion for 2014, and $24 billion for 2015, down from $28 billion in 2013. No major surprises there, and to quote an analyst at SocGen, the French oil major "is sticking to its guns with more downstream restructuring being a dead certainty." After accusations of not being too ambitious in its divestment programme, Shell said it could sell-off of its Anasuria, Nelson and Sean platforms in the British sector of the North Sea. The three platforms collectively account for 2% of UK production. Cairn Energy has had a fair few problems of late, but actress Sienna Miller and model Kate Moss weren't among them. That's until they took issue with one of the company's oil rigs blotting the sea off their party resort of Ibiza, Spain, according to this BBC report. Finally, the pace of reforms and general positivity in the Mexican oil and gas sector is rubbing off on PEMEX. Last week, Moody's placed its Baa1 foreign currency and global local currency ratings on review for an upgrade. In a note to clients, Tom Coleman, senior vice president at Moody's, wrote: "Mexico's energy reform holds out prospects for the most far ranging changes we have seen to date, benefiting both Mexico's and PEMEX's growth profiles in the medium-to-longer term." And just before yours truly takes your leave, OPEC says world oil demand will increase by 1.09 million bpd, or 1.2%, to 90.98 million bpd from 89.89 million bpd in 2013. That's an upward revision of 1.05 million bpd in 2014. Non-OPEC supply should more than cover it methinks. That's all for the moment folks! Keep reading, keep it 'crude'! © Gaurav Sharma 2014. 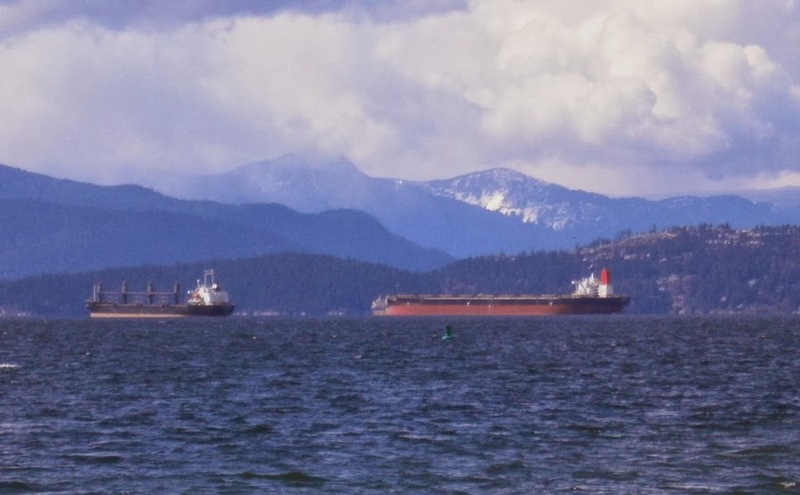 Photo 1: Oil tankers in English Bay, British Columbia, Canada © Gaurav Sharma, April 2012. Photo 2: Oil exploration site © Lukoil. Despite it having been a mad few days of 'crude' results, the Oilholic feels there is only one place to start this post – the US State Department's recent take on the Keystone XL project. The Department's review of the project or should you like formalities – its Final Supplemental Environmental Impact Statement – noted that it had "no objections" on any major environmental grounds to the cross-border 1,179 mile-long Alberta to Texas pipeline extension project. Its take, of course, pertains to 875 miles of proposed pipeline construction across US jurisdictional control which has been the subject of immense controversy with everyone from the American workers' unions [flagging-up job creation] to environmentalists [warning about risk of spillage] weighing in. So is the end of the saga close with a thumbs-up from the State Department? Sadly, not quite, not yet! A 30-day public comment period has begun and is scheduled to end on March 7. During this time, "members of the public and other interested parties" are encouraged to submit comments on "the national interest determination." Then the ultimate decision has to be made by the ditherer-in-chief, President Barack Obama, who is yet to make his mind up, pending reviews from "other government agencies" and the public at large. As expected, the State Department's statement is full of waffle. Hoping not to annoy either those for or against the project, it took no firm stances in the Oilholic's opinion. However, there is one very clear, in fact explicit, conclusion by the department, from this blogger's reading of it – Alberta's oil sands will be developed Keystone XL or not! In a related development impact assessment, it also noted – perhaps in no small part down to recent incidents and accidents – that using the rail network to transport crude was an even worse option than the pipeline itself, if a carbon footprint was the deciding factor. The so-called "other agencies", most notably the Environmental Protection Agency, now have around 90 days to comment before the State Department finally issues its "final" recommendation to the President. Then there would be no excuses or reasons for stalling left and we should know either ways by the summer. One thing is for sure, the Americans have formally acknowledged that cancelling the pipeline extension won't stop E&P activity in the oil sands. So if that's what the environmentalists are after, there's some food for thought. One wishes, the State Department read this blog more often. Yours truly could have saved them a lot of time and money in reaching such a blatantly obvious conclusion. For TransCanada's sake, which first applied for a permit from the US government as far back as 2008, the Oilholic hopes the US$7 billion project does go ahead. Stepping away from pipeline politics, to some 'crude' financial results over the past week, one cannot but feel for BG Group's Chief Executive Chris Finlayson. In a geopolitically sensitive industry, Finlayson's team could not be apportioned blame when he announced that group earnings would dip by 33% on an annualised basis to around $2.2 billion, owing to unrest in Egypt. In the backdrop of domestic strife, the Egyptian government has not honoured agreements covering BG Group's share of gas from fields in the country, with high levels of gas being diverted to the domestic market. Unable to fulfil its export obligations, the company had to serve force majeure notices to affected buyers and lenders, in effect releasing all sides from contractual obligations for circumstances beyond their control. Hence, a company deemed to be high-flier in the oil & gas world was - albeit temporarily - made to look like a low-flapper boosted by occasional gusts of gas...er sorry wind! As Egypt accounts for over 20% of its annual production at present – BG Group's profit warning made its shares take a plastering following the trading update on January 27, dipping 18% at one point. The price is currently in the £10 to £11 range and most analysts are nonplussed. For instance, Liberum Capital cut BG Group to hold from buy, with the target cut from £14.75 to £12.80. Investec analyst Neill Morton cut the group's EPS forecast for 2014 and 2015 by 22% and 16% respectively. "However, we do not believe that a takeover is likely (or even possible?) for a $60 billion company which is likely to command a substantial takeover premium. The key challenges over the next 18 months are the developments in Brazil and Australia which still run the risk of further issues, in our view (for e.g. the Brazil development is being done by Petrobras)," Morton added. While BG Group was warning on profits, supermajor Shell wasn't exactly covering itself in glory. Following on from a pretty substantial profits warning, Shell's profits [outstripping the effect of oil price fluctuations came] in at $2.9 billion for the last quarter of 2013, down from $5.6 billion noted over the same period in 2012. The market was already well prepared for a dip in performance from Shell, but much to this blogger's surprise, new chief executive Ben van Beurden said the company's strategy presentation [slated for March 13] would contain no fresh targets on production, capex and asset disposal. Odd indeed, and if one might humbly add – Shell's asset disposal, especially if similar drives at BP, Chevron and ConocoPhillips are to be used as measuring rods, seems a bit random! The Anglo-Dutch company said it was targeting disposals of $15 billion in the current financial year, and had stopped exploration in Alaska. Its stake in the Australian Wheatstone project is expected to go, and a 23% stake in the Brazilian Parque das Conchas (BC-10) offshore project already has gone, subject to regulatory approvals. Ratings agency Fitch said such moves were positive, but added: "It remains to be seen whether Shell will take the opportunity that this flexibility affords it to retrench, or be tempted into shareholder friendly actions that could threaten its 'AA' credit rating." Finally, ExxonMobil – biggest of the publicly traded IOCs by market value – also saw its profits below market expectations after a failure to offset declining production with fresh reserves. For the fourth quarter, it posted a net income of $8.35 billion, or $1.91 per share, compared with $9.95 billion, or $2.20 per share, over the same quarter in 2012. Those picky analysts were hoping for $1.92 to $1.94 per share – some will never be pleased! Forget the analysts, here's an interesting article on what Warren Buffet sees in ExxonMobil to help draw conclusions on the "quintessential defensive stock." In response to his company's latest financials, chief executive Rex Tillerson promised to move ahead with new exploration projects. Away from results, oil majors and minors ought to take notice as it seems oil might be overtaken by coal as the dominant primary energy source worldwide by 2017, according to the IEA. Adding further weight to this hypothesis, Worldwatch Institute's recent Vital Signs Online study noted that natural gas increased its share of energy consumption from 23.8% to 23.9% during 2012, coal rose from 29.7% to 29.9%, while oil fell from 33.4% to 33.1%. Coal, natural gas, and oil, collectively accounted for 87% of global primary energy consumption in 2012. Finally, OPEC's 'long-standing' Secretary General Abdalla Salem El-Badri has said its member nations will be able to handle the extra oil "expected to come from Iran, Iraq and Libya" to head off any oversupply. We believe you sir, but it'll be kinda hard to keep a trio gagging for an export impetus to toe the line, say us supply-side analysts. Hopefully, oversupply or even the perception of oversupply should bring the price of the crude stuff down a fraction and may be price positive for consumers. Hence, a month into 2014, yours truly stands by his price forecast. That's all for the moment folks! Keep reading, keep it 'crude'! © Gaurav Sharma 2014. Photo 1: The White House, Washington DC, USA © Gaurav Sharma, April 2008. Photo 2: Shell tanker truck at Muscat International Airport, Oman © Gaurav Sharma, August 2013.